Wi-Fi has become an essential part of daily home life, and yet, for something that’s so critical, Wi-Fi is often forgotten. That is, until it stops working. We’ve all experienced a spinning buffering wheel when trying to stream a movie, or a room that just never quite seems to have a strong signal. And when something goes wrong, most of us are at a loss for how to fix it, crossing our fingers in hopes that turning the router off, then on again is the solution. You shouldn’t have to be a network engineer to have good, reliable Wi-Fi at home, which is why we built Google Wifi, available for sale today at retailers like the Google Store, Amazon, Best Buy and Walmart. Most routers scan the environment for a clear channel when they are powered on, and never again (until you restart it, which is why it’s so common that “unplugging” seems to be the fix). Over time, Wi-Fi channels can get congested, slowing channel speeds to a crawl. But now, Google Wifi solves the congestion issue by performing a scan of the wireless spectrum every five minutes. Network Assist uses these results to build a predictive model to determine the best channel for your Wi-Fi to make sure you’re always on the clearest channel, which means less congestion and faster speeds. 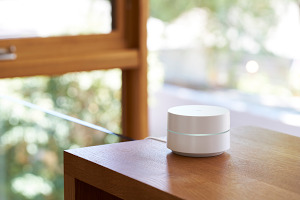 To ensure you always have strong coverage throughout your home, Network Assist continuously monitors the connection between all your Google Wifi points to make sure they have good signal with each other. It also conducts regular speed tests in the background, so you can review your history to see what speeds you’re getting from your internet service provider. Through Network Assist, you'll always get the best Wi-Fi connectivity possible, but we take it a step further to make sure that each individual device always has the best connection. Your devices (like laptops, smartphones, connected light bulbs) connect to Wi-Fi using one of two bands: 2.4GHz or 5GHz. The 2.4GHz band has slower speeds but a longer range, while 5GHz is faster but with shorter range. Network Assist helps your devices connect to the best band, based on the device and its location relative to Wifi points to make sure you always have a strong, reliable Wi-Fi signal. Devices are getting smaller and more mobile — they move around with us. So Network Assist makes sure your devices seamlessly transition between Wifi points in your home as you move from room to room, so that you don’t get any drops in signal. 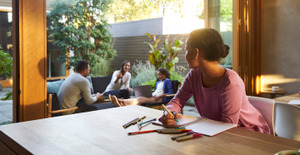 Network Assist transitions you, while ensuring you continue to have a solid connection, so you can walk throughout the house on a video call. 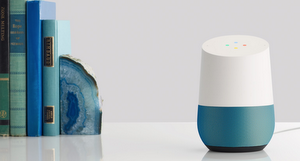 Traditional routers communicate through blinking lights, but Network Assist tells you about any issues in human language, right in the Google Wifi app. For example, it can let you know if you would get faster speeds by moving one of your Google Wifi points to another location in your home, or sends you a notification if you’ve lost connection to your Internet Service Provider (ISP). Getting these insights and real-time optimizations is as simple as opening up your Google Wifi app. Wi-Fi should be easy to set up, provide great coverage for your entire house, and do all the heavy lifting for you. 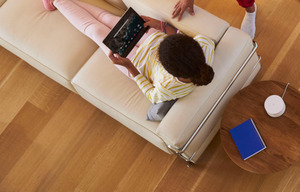 We built Google Wifi to answer those needs and more, and hope it improves your Wi-Fi experience at home.